The Frenchglen Education Foundation has started a new fundraiser with first aid kits available from Right Response. These kits are proudly built in the USA at our facilities in Vancouver, Washington. We support American jobs by purchasing the contents for the first aid kits wherever possible from U.S. manufacturers. Each kit features hospital-grade supplies that provide care and comfort. Using modern manufacturing techniques, all kits are built within days of ordering. This ensures the freshest first aid available with longer expiration dates. Right Response first aid kits keep you prepared for emergencies anywhere, at any time. Follow this link to place your order. 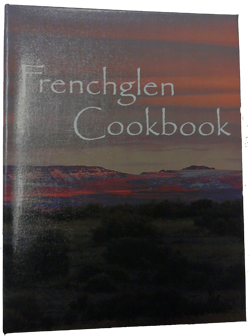 50% of your purchase price goes directly to support the programs sponsored by the Frenchglen Education Foundation. The Harney County Rural School Night on the Town Fundraiser is scheduled for March 10, 2018. This event is hosted at the Harney County Fairgrounds Memorial Building in Burns, Oregon, and will include a fabulous tri-tip dinner, the band Countrified live in concert, and both a silent and live auction. All of the rural schools in Harney County, and their supporting organizations, are invited to participate in the silent and live auction events. All proceeds from the silent and live auction items go to their respective schools or organizations. If you have an item to donate, please contact the foundation at the number below. Purchase tickets to attend by following this link.